The Purple Heart is one of the oldest military awards worldwide that is open to all who are wounded in battle. 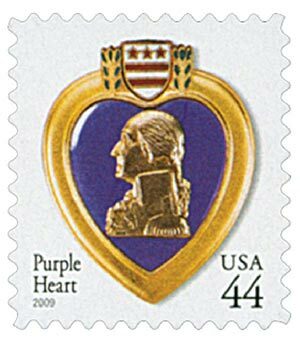 The Badge of Military Merit (the predecessor of the Purple Heart) was first awarded on August 7, 1782, by General George Washington. With the Revolutionary War nearly over, Washington wanted some way to repay his troops for their sacrifices. He created the Badge of Military Merit, to be awarded to soldiers displaying high merit and serving for over three years. Only three badges were known to have been awarded to Revolutionary War soldiers, with no documentation of any others until after World War I. In October 1927, Army Chief of Staff General Charles Pelot Summerall petitioned Congress to have the badge revived, but the bill failed. Four years later, General Douglas MacArthur resumed Summerall’s work, overhauling the badge’s design and issuing it on the 200th anniversary of Washington’s birth. From 1932-43, the Purple Heart was awarded for wounds received in action and for acts of high merit. In 1943, with the establishment of the Legion of Merit – a military decoration awarded for exceptional service and achievement – the requirements for the Purple Heart changed. Since then, a person must be a member of the U.S. Armed Forces and wounded or killed in action to be awarded the Purple Heart.